Abandoned by her family on the shores of Avalon–the heart of Coventina Hollow–Everly becomes a peculiar fosterling in a legendary coven afraid of her natural magic. 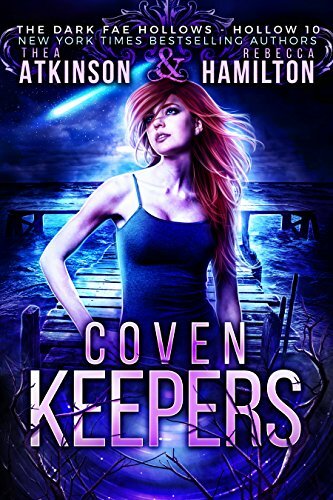 When a fiery streak across the sky signals the arrival of the chosen one–a child who can bring light back to a shadowed world where Fae, human, and witch alike have learned to live in darkness–Everly’s life goes from bad to worse. Now her coven has the opportunity to rid themselves of her and test the veracity of the prophecy all at once. But even if she can survive the kraken that protects the isle from rest of the hollow, she’ll still need to travel through the most dangerous territories of Coventina to find the chosen one. What she finds in the human realm, however, will make even the darkness seem pale.